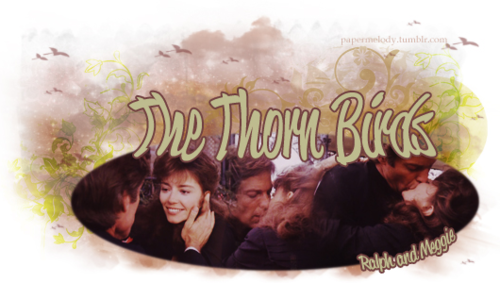 Ralph&Meggie. . Wallpaper and background images in the The Thorn Birds club tagged: the thorn birds rachel ward richard chamberlain 1983. This The Thorn Birds fan art might contain segno, manifesto, testo, lavagna, and poster.